The VPN you are going to use with Kodi should be fast enough so your stream will not constantly lag or buffer (This can happen when you choose a VPN with a poor performance). VPN should have a standalone app for Android (Smart TV’s), Windows, Mac and iOS or at a very least Real-Debrid compatibility. VPN for Kodi should also provide official step-by-step guides for setting it up. Installing a VPN on most devices is an easy 1-click installation, but if you’re installing a VPN on a Google Nexus Player or Rasperry PI, things can get a bit trickier, so it’s good to have an official tutorial to guide you through it. Performance – does the video lag/bugger when using a VPN? Does this VPN have a standalone app for for Kodi? Does it have a step-by-step guide for setting up? Below, you’ll find VPNs for Kodi that actually work. 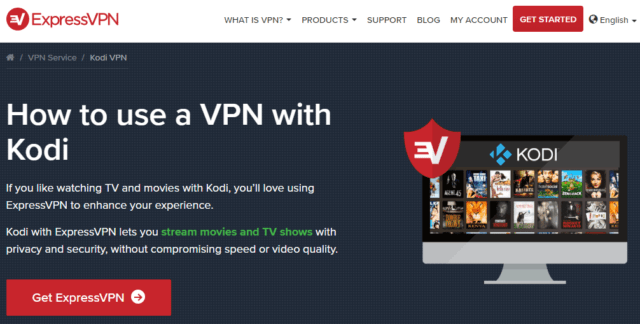 ExpressVPN servers support P2P and torrenting, making it a good option for Kodi add-ons since many of these add-ons require P2P to work and will only work when connected to a server with P2P support. While ExpressVPN has a little over 3,000 servers, these servers are spread across 148 locations (the largest among the VPNs on this list). ExpressVPN’s one-click-install apps are available on ALL major devices, including Android, Mac, Windows, Routers and so on. With the help of their step-by-step guides, you can even install it on your Rasperry PI. The only slight downside is that they are listed under the non-cooperative providers on Real Debrid. This didn’t seem to have serious issues, though, as we were still able to access their service while connected to an ExpressVPN server. However, with other video add-ons such as Exodus forks, this provider would be a perfect fit. Starting at $6.67 per month, ExpressVPN costs more than double the price of cheaper VPNs, but it is certainly worth it. While there is no free trial, you’re covered by its 30-day money back guarantee should you not like the service. Performance: 84 Mbps out of 100 Mbps. Very good, no lag or buffering. Click here to get ExpressVPN for Kodi. Or read our ExpressVPN review. NordVPN is another safe and secure VPN that offers 1-click-installation for Kodi. NordVPN’s 5,200+ servers (the largest of all the VPNs on this list) in 62 countries make unblocking all forms of geo-restricted content pretty much guaranteed. The fact that most of these servers are designed with P2P support means pretty much all Kodi add-ons will work when you use this VPN. Similarly to ExpressVPN, NordVPN too, have standalone software for all the major operating systems (Android, iOS, Mac, Windows). If you are streaming content from Peer-to-Peer networks, NordVPN recommends to use their special P2P/torrenting servers. 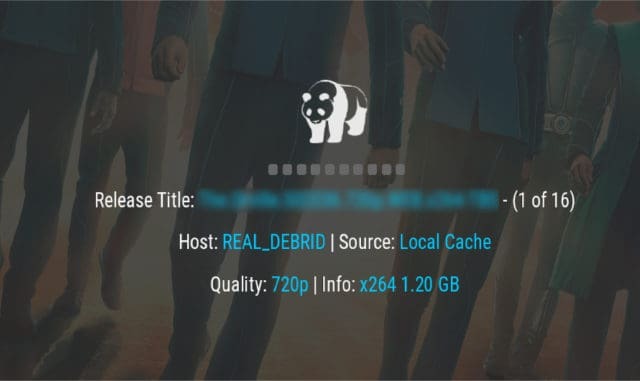 Our speed tests show a download speed of 74 Mbps, which is more than perfect for Kodi streaming. Seren was able to pick up multiple hosts within seconds and the stream loaded quickly and smoothly with no buffering or caching issues. Similar to other VPN services, NordVPN offers a more affordable plan the longer period you sign up for. It may take you some time to start up, though, due to their inadequate payment options and registration system. They also have a 30-day refund policy. NordVPN’s strict zero logs policy, being located in Panama (a VPN-friendly country not a party to the 14 Eyes Alliance), and strong 256-bit encryption along with their “Double VPN” feature, gives great assurance of both privacy and security to Kodi users. They have also additional features such as ad-blocker and CyberSec which should secure your Internet connection. The only downside is that not all server work well with Kodi. We recommend choosing the nearest location to you which is usually the fastest. Performance: 74 Mbps out 100 Mbps. Very good, no lag or buffering. Servers: 5,200+ servers in 60+ countries. Click here to get NordVPN for Kodi. Or read our NordVPN review. Another VPN that we found working quite well with Kodi was Cyberghost. The CyberGhost application itself was easy to install and operate through Kodi. We were connected to one of their VPN servers within minutes. They do have standalone software for most of devices and operation systems, inlcuding Amazon Fire TV Stick. 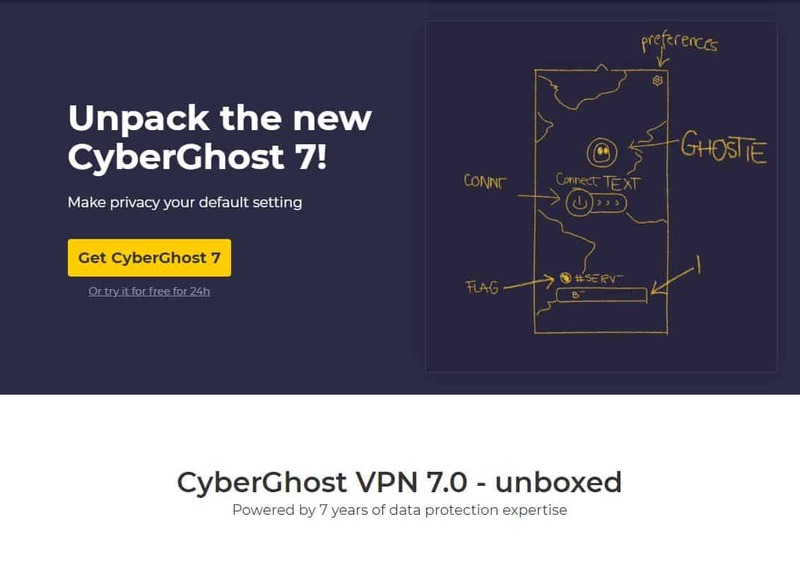 It’s also worth noting that not only are CyberGhost servers well-optimized for P2P, but CyberGhost proudly highlights this fact and uses it as a selling point, which is a big deal considering the fact that many Kodi add-ons require P2P support to function. Their speeds weren’t good as NordVPN’s / ExpressVPN’s, but would still do fine enough to stream Kodi content. At 51 Mbps when benchmarked against 98 Mbps without a VPN, CyberGhost shows an average speed (which would still do fine enough to stream Kodi content), so it isn’t near the best as far as speed is concerned. CyberGhost has 3,100+ servers in 59 countries, and can be configured into your router in case your Kodi device isn’t supported. Tutorials for Kodi? Yes, they have dedicated a read me page. Click here to get CyberGhost for Kodi. Or read our CyberGhost review. IPVanis claims to work extremely well with Kodi. At least so they so on their website. What’s good, similarly to others, IPVanish supports all the major Kodi devices, including Xbox 360, PlayStation, and Smart TVs. Registration is simple and includes entering a valid email/password followed by a payment selection option. It lets you connect within minutes once you receive their activation email. Unfortunately, and despite over 1,200+ servers in 60+ locations around the world, the speed test only showed slightly below-average results. Using 100 Mbps cable connection, we managed to get 47.82 Mbps download and 2.13 Mbps upload which isn’t very fast. Although it shouldn’t cause any harm, IPVanish is based in the US were are very tight laws on downloading copyrighted content. So be warned. Only downside? 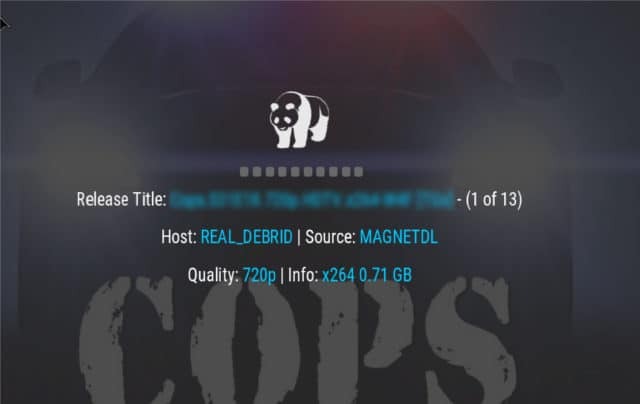 Not all of the servers were fast enough for Kodi streaming. Tutorials for Kodi? Yes, multiple guides for setting it up. Logging policy: No logs, US based. Servers: 1,200+ servers in 60 countries. PIA can be installed on most of Kodi devices (including Android, iOS, Mac and Windows), but can also be manually installed PIA on your router in case your Kodi device isn’t directly compatible. Streaming videos on Kodi with PIA is quite fast experience. The speed test demonstrated a relatively low ping and fairly quick download speeds. The fastest clocked in at an 81 Mbps download speed. While we are not very impressed with PIA being located in the US (a 5 Eyes country), they are still one of the most reliable VPN service providers when it comes to privacy and security. They provide different levels of encryption. You can opt for their “All Speed No Safety” option for a faster Internet connection experience with little security or their “Maximum Protection” option for complete security. Their no logs policy has been tried and proven in a real-world case, involving the FBI no less: when the FBI came knocking at PIA’s doors for information, they had absolutely nothing to offer since they kept no user information. Ivacy is our last VPN in the list that seemed to work with Kodi. After purchasing, we were directed to well set out splas screen allowing me to choose my preferred platform, followed by a simple downoad. The application itself is clean and elegant which is nice and easy to operate and understand. While they offer average speeds compared to the other providers on this list (only 53 Mbps out 100 Mbps), Ivacy is still fast enough to stream content on Kodi. 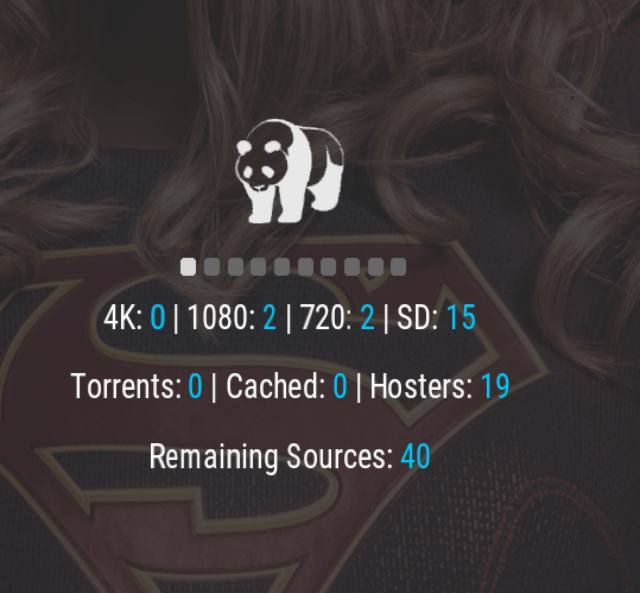 It’s worth noting that, though some of their servers do not have P2P enabled, a good number of their servers, including in the US, the UK, and Canada are P2P optimized, providing a great advantage when it comes to Kodi add-ons that require P2P support. Ivacy also has several tutorials on how to set up its VPN on various Kodi devices and offers a generous 7 days free trial offer to test run their VPN service. In case your Kodi device isn’t supported by Ivacy, you can manually install Ivacy on ASUS, D-Link, TP-Link, Linksys, and DD-WRT routers and then connect your device to your router to enjoy Ivacy protection. Ivacy uses the secure AES 256-bit encryption, and we’ve found their claims to keep no logs to be true. Only downside? It doesn’t work well with Netflix and their money back guarantee is quite sketchy. SaferVPN – Slow download speed and they’ve been blocked by Real-debrid services. ProtonVPN – They’ve been blocked by Real-debrid services. Trust.Zone – Clunky setup process and continuous caching and buffering while on Kodi. GooseVPN – Their download speed is too slow to be effective on Kodi. PureVPN – They have the slowest download speed and Kodi kept caching and buffering despite being on the “fast streaming” setting. Norton VPN – Very slow speed. Tunnelbear – Issues with buffering. How Do I Install a VPN on My Kodi? You don’t usually install the VPN on Kodi, itself. 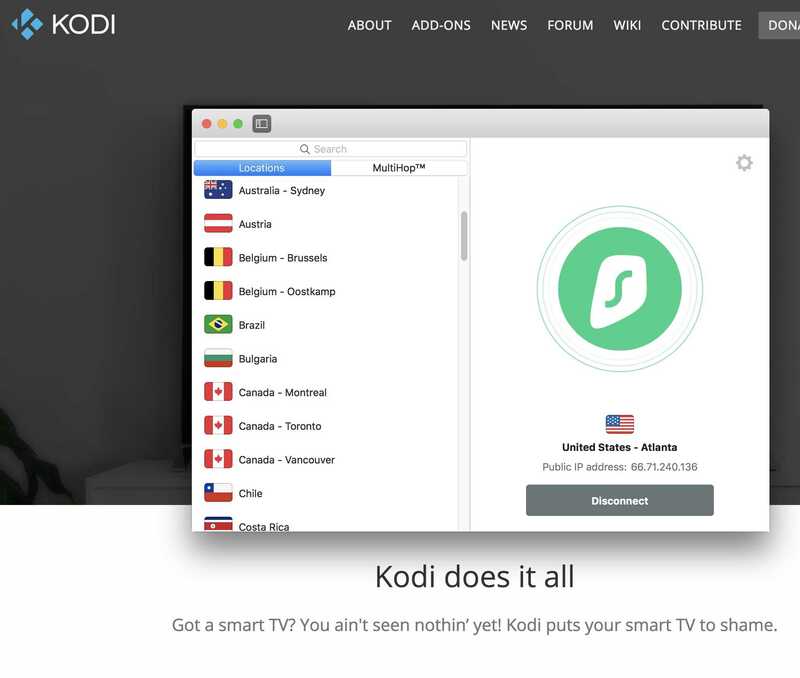 Instead, you install it on the device that you’re using with Kodi. After that, you just need to follow the installer wizard’s instructions until you’re done. Then just connect to the VPN and select the desired server. You can now boot up Kodi and start streaming your desired content. However, if you’re using a Kodi Box, the answer to the above question will depend on what OS it runs. Below, I’ve put together a list of the most popular (at the time of this writing) Kodi devices and arranged them according to how difficult they are to install a VPN on. You can easily install a VPN on these devices since they run Android OS. In fact, any device that runs Android OS is usually easy to install a VPN on. With these devices, you simply use them to navigate to the App store and download your chosen VPN by following their instructions. Google Nexus Player- How to sideload apps in Nexus Player. Razer Forge TV- How to sideload apps on Forge TV. Raspberry Pi- How to install a VPN on Raspberry Pi. Cubox-i- How to set up a VPN client. We Tek Play- How to set up a VPN on We Tek Android. Do not download APK files from third-party sites. You never know what else they may have inserted into those files or if those files are even legitimate or up-to-date. Only download APK files straight from a trusted source. Additionally, Sideloading APK files on these devices come with an amount of risk which you will have to shoulder in case something goes wrong. Only attempt this method if you know what you’re doing. If you use FireTV, Chromecast, or Roku to run Kodi, you may already know that they don’t support VPNs. However, you can instead install a chosen VPN on your router. This process does require that your router’s firmware be compatible with the VPN. If it isn’t, you’ll have to “flash” your router to change its firmware but this involves a great amount of risk and may very well damage your router. Instead, I’d recommend that you get a new router rather than risk it. You could also opt to use an old desktop computer or laptop as a virtual router. This involves simply running your VPN on your desktop or laptop and use it to broadcast a Wifi network which you then connect with your Kodi device. We get it. But it’d be a massive mistake. You really do get what you pay for here. Most free VPNs will literally sell your data to the highest bidder. Not to mention, a lot of free VPNs place limitations on bandwidth. That means you could be streaming along and suddenly hit your monthly quota. Once that happens, the VPN shuts itself down completely or, more infuriatingly, throttles your internet usage. Free VPNs are also less safe. And for the last, their speeds are usually very slow. I use NordVPN for streaming Kodi video with a couple of add-ons. Works fine, no complaints. I’ve tried Ivacy too, but for me it didn’t work out that well – constant speed issues. PureVPN – Slow download speed and Kodi kept caching and buffering despite being on the “fast streaming” setting.